Shooting of Amitabh Bachchan, Ranbir Kapoor and Alia Bhatt starrer Brahmastra begins! The shooting of Amitabh Bachchan, Ranbir Kapoor and Alia Bhatt starrer Brahmastra has begun on Saturday. The film also stars Amitabh Bachchan and television diva Mouni Roy in prominent roles. Brahmastra is reportedly an adventurous science – fiction film in which Ranbir Kapoor for the first time in his career will be seen as a superhero. Bollywood heartthrob Ranbir Kapoor, actress Alia Bhatt’s much talked about film Brahmastra has finally gone on floor on Saturday. The film is helmed by Wake Up Sid director Ayan Mukerji and also stars living legend Amitabh Bachchan and television diva Mouni Roy in prominent roles. Film and trade expert Taran Adarsh on Saturday took to micro-blogging site Twitter to announce that the shoot of the much-awaited film has finally begun. “#Brahmastra shooting begins today… Stars Amitabh Bachchan, Ranbir Kapoor and Alia Bhatt,” wrote Taran Adarsh. He also shared a picture of the different id cards of the entire team of the film Brahmastra. It will be for the first time that Ranbir and Alia would be seen sharing the screen space on the silver screen. The Dharma Productions’ film is Ayan’s third project, which comes four years after his successful romantic-comedy Yeh Jawaani Hai Deewani. The young filmmaker said he has all his hopes pinned on Brahmastra, which was announced in 2016. Brahmastra is reportedly an adventurous science – fiction film in which Ranbir Kapoor for the first time in his career will be seen as a superhero. The film is said to have a budget of INR 100 crores and is said to be the first part of a possible trilogy. ALSO READ: ‘Brahmastra’ co-stars Ranbir Kapoor, Alia Bhatt secretly dating each other? 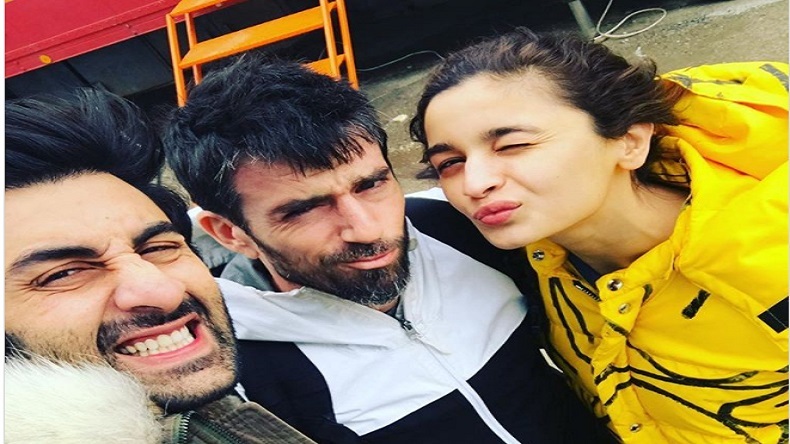 Recently, the actors of the film were spotted in Bulgaria where they were seen having a blast with their team as they geared up for the shooting of this much-anticipated film which will be released on Independence Day, August 15, 2019. ALSO READ: Brahmastra: Mouni Roy to play negative role in Alia Bhatt, Ranbir Kapoor starrer?